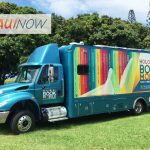 J Boog, Tarrus Riley and Maoli will perform on Maui for the Bash 2019 at the MACC on Friday, April 19, 2019, at the A&B Amphitheater & Yokouchi Pavilion. 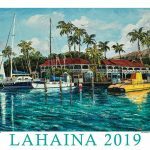 J Boog will perform at the MACC on April 19, 2019. PC: MACC. 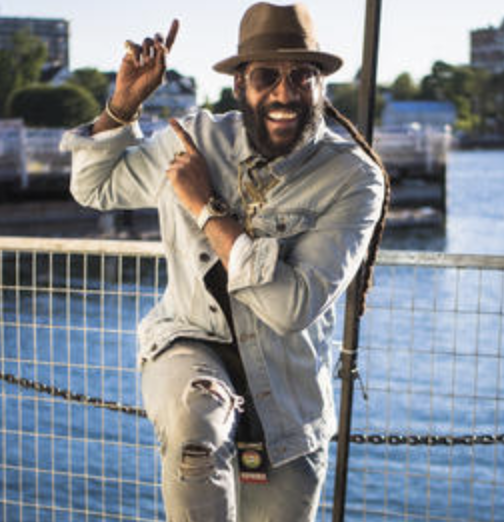 Tarrus Riley will perform at the MACC. PC: MACC. 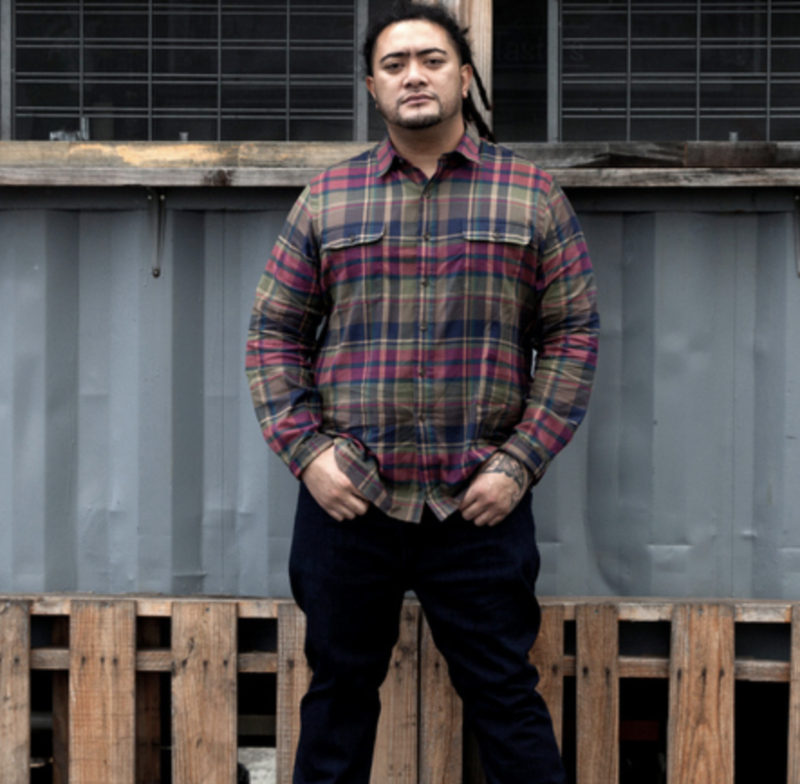 J Boog is a singer who fuses reggae with R&B, hip-hop and rock. He was born in Long Beach, California, but was primarily raised in Compton. 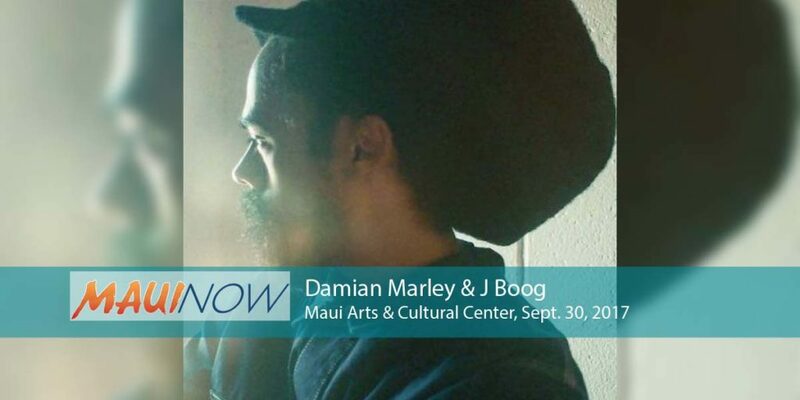 In 2005, Boog moved to Hawaiʻi, where he met one of his favorite singers, Fiji, who took him under his wing and helped produce Boog’s 2007 debut album, Hear Me Roar, which cracked the top 10 of the American reggae charts. Also performing at this concert is special guest, Jamaican reggae sensation Tarrus Riley. Riley, born in the Bronx and raised in Jamaica, is the son of veteran reggae singer Jimmy Riley. In 2004, Tarrus released his debut album, Challenges. 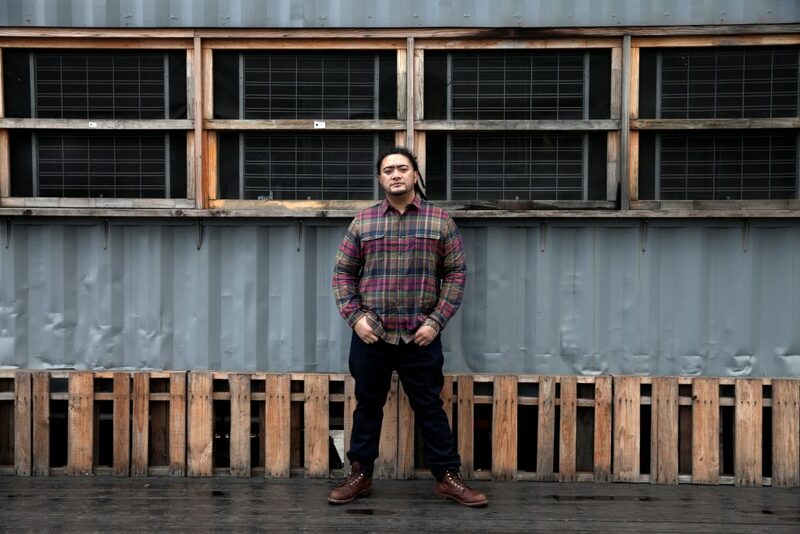 Riley has since consistently racked up awards and released his 2014 album Love Situation, which he described as “a true tribute to the rocksteady era.” Maoli is also featured in the lineup. 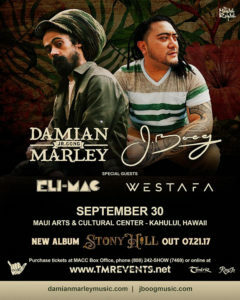 Tickets are $39 for general admission and $99 for VIP, available for purchase at the MACC Box Office during opening hours or online.